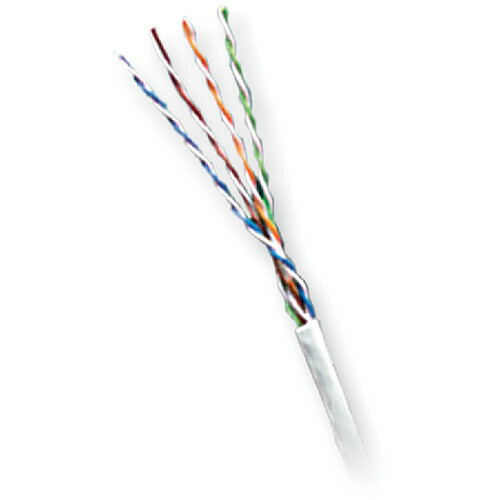 The black Honeywell Genesis Category 5e Unshielded Twisted Pair Plenum Communication Cable is a 1000' long cable that comes in a pull box and is rated by UL and has #24 AWG solid bare copper conductors. It features 100% FEP insulation, a LSPVC jacket with a ripcord under its jacket and sequential footage markings. It is ETL Verified to TIA/EIA 568-C Category 5e.